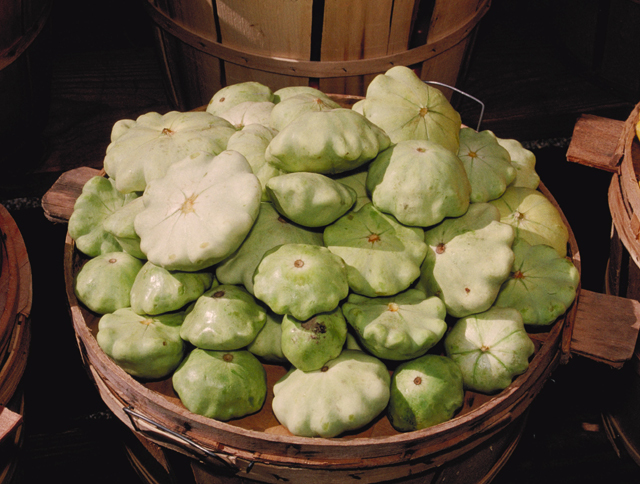 Pattypan squash! 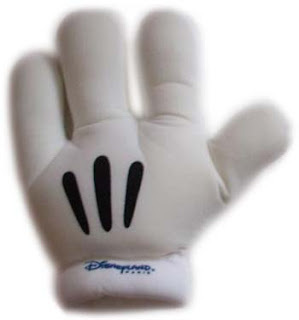 Not to be confused with a big, novelty, white Mickey Mouse glove. A summer variety and the most absurd fruit I think either of us have ever seen. Once the Pattypan plant begins fruiting, it only takes 2-3 days for this squash to get to this massive size! It is usually harvested small, about 2-3 inches in diameter, and is very tender and delicious. This one has gotten way out of hand (sorry I had to) and grown to about 1 foot in diameter and maybe 2 or 3 inches tall. It was amazing to see such a beautifully symmetrical fruit in all it's glory. Freshly cut from its plant, the vibrant white color seemed to glow with energy. Here is an ironic situation, a miniature winter squash (the greenish apple looking thing) sitting atop the incredibly large Pattypan Sasquash, as I like to call it. Two unique fruits in one day. Thanks to Wikipedia, we got to see what some normally harvested and edible Pattypans look like since we only came across this one that day. When Pattypans get this big, it basically becomes a decoration. The rind becomes too hard and the fruit won't be as flavorful inside. Ah well, maybe next year.